I did CAD work for the mounting block additions to the lower and upper halves of the loser side of the left hand forearm over the weekend. I began by printing and gluing together the upper and lower halves of the left forearm. I did a similar thing with Art of Illusion and Netfabb in CAD. 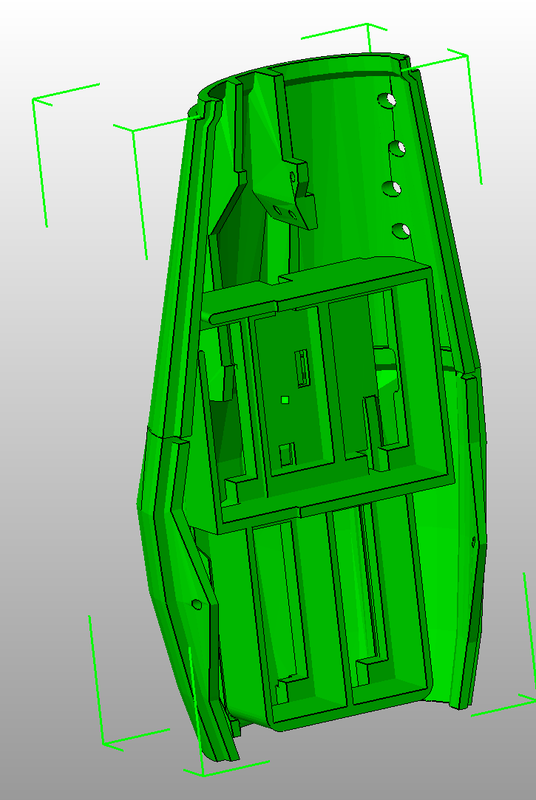 With both a real and virtual forearm bet I added JHack's servo bed. With that model I was able to locate mounting blocks which snugly held the servo bed in place. As I began to print test parts around 1100 on Sunday, however, my UPS system died, so I spent five hours getting a new one, which is also faulted but works for now. 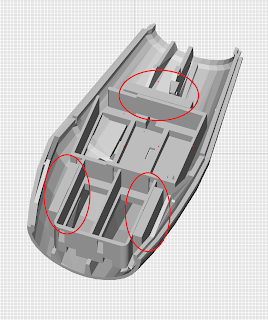 I did a partial print of the lower half to see if the blocks holding the lower sides of the servo bed fit properly. Here you can see the blocks in place on the left. 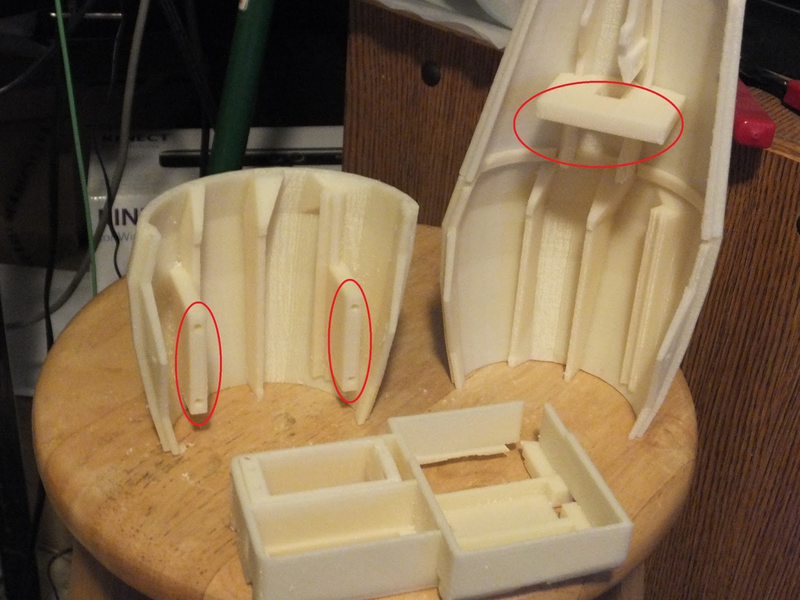 On the right you can see the dummy block for the top of the servo bed in place in the glued lower half of the forearm. Here I fitted the servo bed into the partial print. The bed slides into place easily and the blocks are flush with the top of the bed.